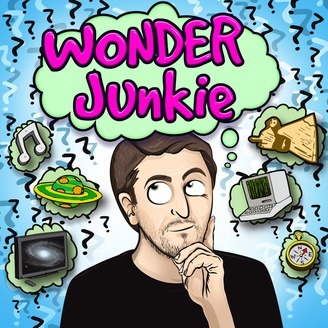 Inspired by Carl Sagan, the Wonder Junkie Podcast is a place where Pete Bailey delves into a variety of subject areas featuring guests such as ESA Astrophysicist Dr. Matt Taylor, Emmy Award-winning actor Mandy Patinkin, business magnate Touker Suleyman (BBC Dragons Den) and curator at London's Imperial War Museum; Matt Brosnan. 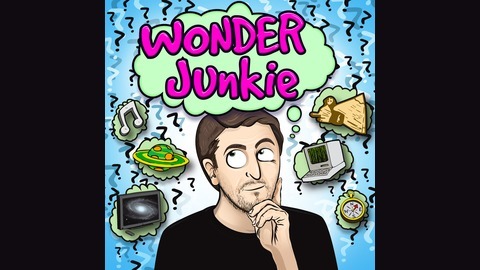 Welcome to episode 27 of the Wonder Junkie Podcast ft radio futurologist James Cridland. James is a radio futurologist - a writer, consultant and public speaker on radio’s future. He is Managing Editor of podnews.net, a daily podcast newsletter, and runs media.info, the media information website. He is a Director of the Canadian local radio broadcaster VISTA Radio. James has worked in radio since 1989 as an award-winning copywriter, presenter, and internet strategist. In 2001 he joined the original Virgin Radio in London, where he was Digital Media Director: launching the world’s first streaming radio smartphone app in March 2005. In 2007 he joined the BBC to work on the BBC iPlayer for radio, achieving a dramatic increase in the service’s audio quality, and being part of the team that laid the foundations for the UK Radioplayer. Since leaving the BBC in 2009, he has worked for a variety of businesses, including the receiver and silicon manufacturers Pure and Frontier Silicon, Radioplayer, Futuri Media, talkSPORT as well as a variety of media companies in Europe, North America, Asia and Australia; helping them focus on the benefits and challenges that new platforms bring to their business. He is one of the organisers of Next Radio, the UK radio ideas conference each September, and has worked with the world’s largest radio conference, Radiodays Europe, since its inception.